It is critical to have safe and non-polluting gas around us. This is why it is very important to have a tool that will help in vapor management. It is good to note that vacuum and compressor systems have been developed to help alleviate problems commonly related to oil and gas. These systems can handle the simplest to the most complex problems in the industry. Among such scenarios with which vacuum pumps can handle are saturated inlet gas streams, dirty abrasive gas mixtures, explosive gas mixtures, and unpredictable streams that often undergo process changes. At Airtech, you will find vacuum pump technologies that can be installed in oil and gas systems. The oil and gas industry is a combination of different systems. Each system must be monitored to make sure that the final product will be appealing to a consumer. Vapor recovery, one of the processes within the industry, is that which helps recover hydrocarbon vapors. Another is flare gas recovery which is also known as the sewage system in the world of gas recovery. It is also helpful in field gas boosting or the process where low pressure gas is boosted from the well to the pipeline. Fuel gas boosting, enhanced oil recovery and gas gathering are also among other processes recognized in the industry. Using vacuum pumps is considered important in almost all of these processes. In field gas boosting, for instance, a vacuum pump or compressor is essential to boost the extraction of gas. For fuel gas boosting, on the other hand, the vacuum pump is essential in making sure that the gas recovery and compression process can be carried on easily. It is also important in enhanced oil recovery where the vacuum pump can be pulled on an oil well to prevent the well from encountering pressure. At Airtech Vacuum Incoporated, we believe that each industry and application is unique when it comes to using vacuum and blower technologies. 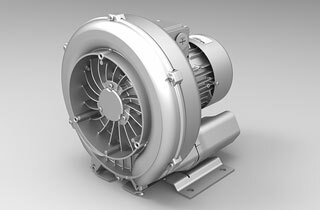 Our company was founded in 1982 and we have manufactured high pressure regenerative blowers, vacuum pumps, rotary vane pumps, and more, for the convenience of our consumers. With the help of our dedicated team of experts we were able to establish a name in the world of unparalleled vacuum and pressure technologies. Customers come to us for our passion to work hard on these systems. We are ISO-90012008 certified and our products have also obtained certification from CE, RoHS, UL and CSA. These certifications give our customers complete peace of mind when purchasing from us. Our engineers work hard and analyze each unique situation accordingly so that we can recommend a product that matches the industry or application with which the technology can be used for. We are proud with the custom work we do and we guarantee that we handle every order with care. With this, you can be sure you will have the best shopping experience noting that we only have in our list a set of high quality vacuum products offered at the most competitive prices. Experience how it is like to be served by Airtech! Start browsing through our inventory today and source for top-notch oil and gas vacuum and pressure products with exceptional ease!